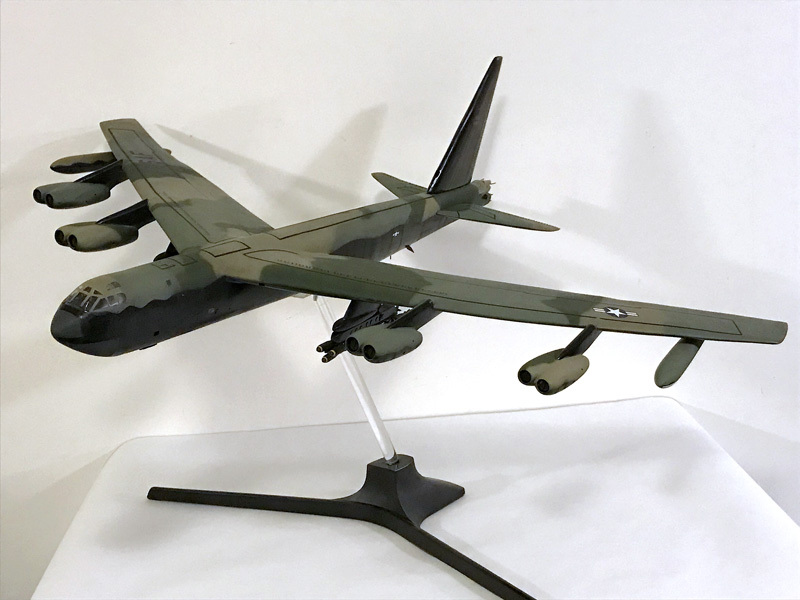 Kevin went big with a BUFF, spending seven months building Sanger Engineering’s 1/48 scale B-52D. Added details include wing and stabilizer vortex generators and weapons pylons. He says, “I love vacuum-formed models because of the variety of interesting and unique topics. If you must have a 1/48 scale B-52D, vac is the only option. I now have the B-52D I always wanted to go with Sanger’s earlier 1/48 scale B-47.” Kevin’s model has a 44-inch wingspan and is held aloft by a modified flat-screen TV stand.